I am currently busy working on the project ‘Data-Driven Film History: a Demonstrator of EYE’s Jean Desmet Collection’ which is a small pilot project funded by the Netherlands Organization for Scientific Research (NWO) running from September 2014 till May next year. The aim of the project is to develop a demonstrator tool which proposes new ways for scholars to research and visualize the Jean Desmet Collection held at the EYE Film Institute Netherlands, a collection which has been almost completely digitized. The Jean Desmet collection is an immensely important collection, recognized as UNESCO World Heritage in 2011, which contains approximately 950 films from cinema’s early years from between 1907-1916, 2000 posters, 700 posters as well as some 120.000 business documents. It is a collection which especially in the 1980s and 1990s through screenings at the silent film festival Le Giornate del Cinema Muto in Pordenone in Italy made film scholars aware of the great variety and richness of for example film colours in the silent era, and has been crucial in understanding the cinema distribution networks in the Netherlands as well as in Northern Europe. The Dutch film historian Ivo Blom who is one of the most knowledgeable scholars on the collection has written in more detail on this in blog posts and in book form (which can be downloaded for free!) here and here. It is exactly the aspects of film distribution and colour that we wish our tool to address and which we are currently figuring out how could be done best. I will write about this later in more depth, when we have gone beyond the phase of deciding on the research design and determining exactly how the programming will be done. Yet, for those who cannot wait and are eager to know more about our project, I will be co-presenting a paper on the research questions and methods we have lined up so far, tomorrow at the world conference of the International Federation of Television Archives (FIAT) at the Pakhuis de Zwijger in Amsterdam with my colleague Jasmijn van Gorp from Utrecht University. The paper is co-written with Eef Masson (University of Amsterdam), Giovanna Fossati (EYE Film Institute Netherlands/University of Amsterdam) and Julia Noordegraaf (University of Amsterdam) and a livestream can be followed here, so there is no excuse for not tuning in at 3.30 pm CET! It has been quiet on my research blog since April. In May I was busy wrapping up the spring semester’s teaching, supervision and research activities and in June and July I went to conferences and workshops in Switzerland and Luxembourg that each related to my research in different ways. Finally I also returned to the archival film festival Il Cinema Ritrovato in Bologna. To mark the start of the new academic year, I provide a little travelogue containing some impressions from those events below. June 5, I attended the conference of the Diastor research team in Zürich – Tagung Film in Digitalen Zeitalter – which took place at the Filmpodium cinema centrally located in the beautiful Nüschelerstrasse. The conference had been organized to mark the mid-point of the Diastor research project of the University of Zürich – a project also mentioned in my previous post – on the restauration and presentation of historical film colours led by Professor Barbara Flückiger. Of a short one-day conference it provided an exceptionally rich and strong program consisting of a wide array of both international and national speakers, combining the kind of state-of-the-art research film preservation talks which one is most likely to see at the annual conferences for the Association of Moving Image Archivists (AMIA) in the US, with highly interesting contributions from Swiss film and media archivists. While there were many fascinating talks I was particularly struck by two. Deputy Director at the Finnish Film Archive Mikko Kuutti’s presentation Scanning and Preserving Film Heritage – From Ideas to Daily Routine was a thorough technical and scientific reflection on the scanning work which is being done on a daily basis at the Finnish film archive, as well as the possible perception of this work in a cinema setting. First, Kuutti gave a walkthrough of the advantages and shortcomings of the scanning work done at the Finnish Film Archive, focusing – as presentations of archival digitization work mostly – on issues of resolution or contrast as parameters for assessing digitization work. Yet, what was particularly interesting in Kuutti’s presentation – I found – was that the question was also flipped around from focusing uniquely on how much we should be able to see to how much we actually can see when we are sitting in the cinema, watching the cinema screen from different angles and viewing positions. Guiding the attendants through mathematical layouts of possible audience experiences and perceptions of resolution in a cinema, Kuutti explained how we might reconsider and reframe the discussion of resolution standards in digital projection from this different perspective. 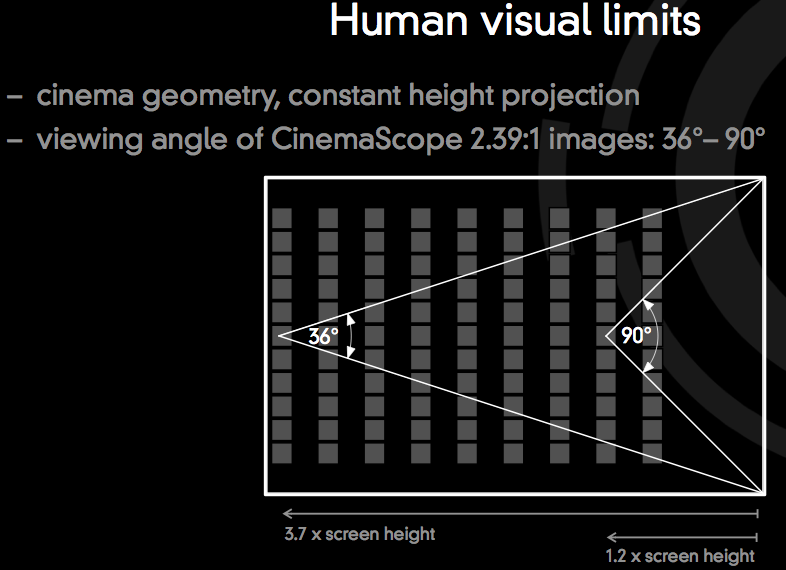 Diagram from Mikko Kuutti’s presentation explaining his calculations of visions of the cinema screen from different distances in a cinema. From the Swiss archival world it was also an eye-opener to see the talk given by David Landoff, Director of the small predominantly volunteer-driven cinémathèque Lichtspiel Kino in Bern, which was founded in 2000 on the basis of the extensive collection of Bernese film technician Walther A. Ritschard. Lichtspiel Kino is a small film heritage institution with a broad scope of preservation of films, technology and film-related material, which stresses the importance of letting visitors interact with objects held in the institution’s collections, with – it appears – an almost invisible line between exhibition space and collection vault. 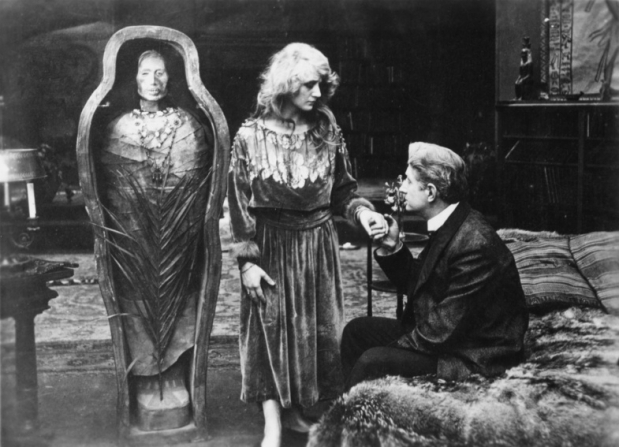 To demonstrate how this interaction takes place on a daily basis, Landoff’s presentation was mostly made up of photos from screenings – with only very few comments, a feature of Landoff’s presentation which I think worked very effectively – and behind-the-scenes preservation work to display remarkable depictions of objects, workshops and screenings at the institution. 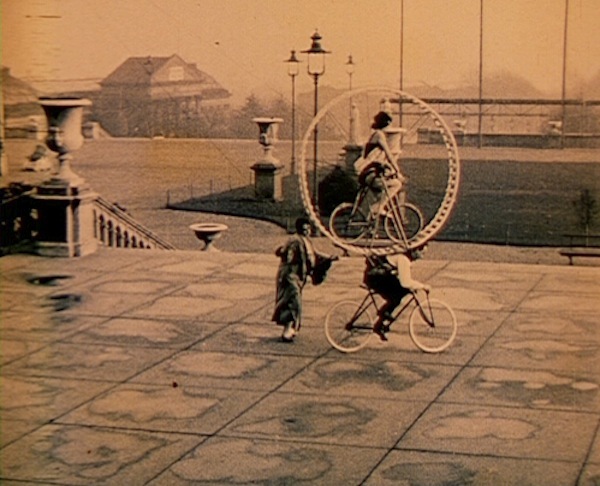 The photo below which was a part of the presentation depicts the cinema of the Lichtspiel Kino which shows how closely these two spheres of the institution are connected. 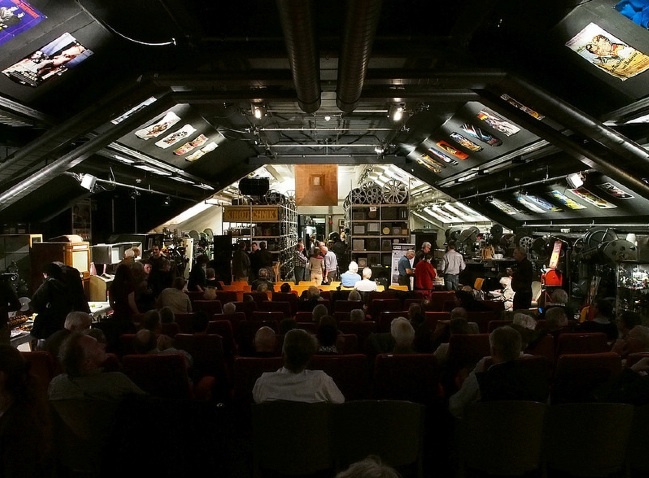 A screening at the Lichtspiel kino in Bern. More photos from David Landoff’s presentation can be found here. To explain the advantages of this setting, Landoff played a pun on filmmaker and co-founder of the Austrian Filmmmuseum Peter Kubelka’s idea of an Unsichtbare Kino – also more widely known in English as ‘Invisible Cinema’ – the cinema design which Kubelka made for the Anthology Film Archives in New York and the Austrian Filmmuseum in Vienna where one is completely immersed in a black box cinema and where the cinema seat is an actual booth which separates the spectator from the person sitting in the adjoining chair to create a complete immersion. 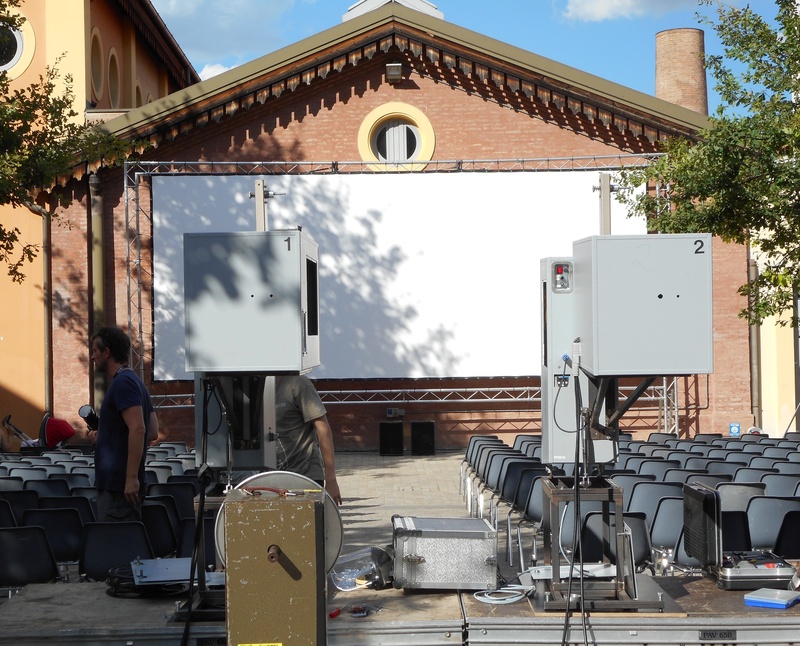 What the Lichtspiel Kino instead proposes to an educational end is a Sichtbare Kino, a ‘Visible Cinema’, where he cinema apparatus and collection is visible to the audience simultaneously with the screening. Altogether it was a great day in Zürich which the Diastor team – including Claudy op den Kamp, David Pfluger and Franciska Heller under the direction of Barbara Flückiger – had put together. 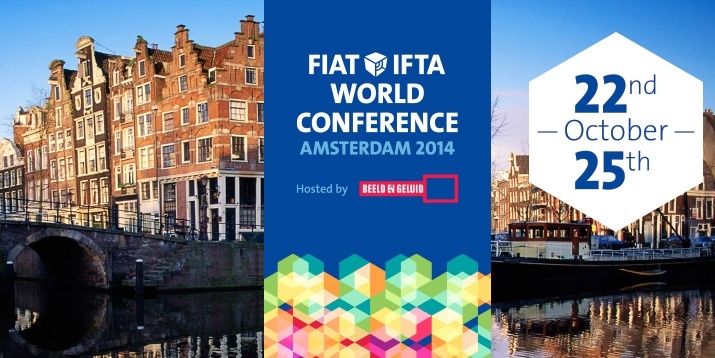 The program and presentations can be found here. Two weeks later on June 20 in the early morning I took a train from Amsterdam down to Luxembourg to discuss different variations of dispositif theory in philosophy and film theory at the Université de Luxembourg with a small group of dedicated researchers in architecture, philosophy and media studies coming from the Netherlands, Luxembourg and Germany. The workshop was hosted by newly appointed Professor of Digital History Andreas Fickers at the Université du Luxembourg and was partly organized by the team of the collaborative research project of the Universities of Groningen and Maastricht on amateur film titled Changing platforms of ritualized memory practices: The cultural dynamics of home movies. The workshop provided a welcome forum for me to discuss many of the overlaps which the dispositif concept shares with related theoretical approaches such as Actor-Network Theory, Media Archaeology or just plain media theory for understanding techno-cultural networks and the agency of the elements which constitute them, which for me was one of the deeper concerns in the first year of my PhD-trajectory where I had to articulate a theoretical framework for my research. While it would go too far to depict the discussions in great detail here, my contribution discussed how the theory of history of French historian and anthropologist Michel de Certeau, which I find particularly interesting because of its emphasis on the agency of the tools and technologies with which sholars produce historical knowledge, could be combined with more recent rethinkings of the dispositif concept by film theorists and historians such as François Albera and Maria Tortajada as a way of understanding how digital formats such as DVDs, geomapping or videoessays in different ways sustain different discourses on film history. A short report on the workshop written by one of the organizers, PhD Candidate at Maastricht University Tim van der Heijden, can be read here. I also attended this year’s edition of the film history festival Il Cinema Ritrovato in Bologna, the twentyeighth of its kind. It was my fifth time at Il Cinema Ritrovato since 2006 when I first attended and it was perhaps the edition I enjoyed the most. Things had changed – it appeared to me – since I last attended in 2012. First of all the evening programming had been expanded. Where the evening programs used to only offer one screening at around 22.00 in Bologna’s main square Piazza Maggiore one can now choose between several programs, for example in the little court yard in front of the Cineteca di Bologna – the Piazetta Pasolini – as well as in the Cineteca Lumère’s two cinemas: Mastroianni and Scorsese. As if it was not hard enough to choose between the different screenings throughout the daytime already this expansion of the program made it even more difficult, while also encouraging one to follow a small number of series consistently instead of trying to get a sense of everything. This year I mainly followed the series Polish New Wave and Cinemascope in the Arlecchino Cinemascope theatre which was an opportunity to see a string of masterpieces by directors such as Andrzej Wajda or Andrzej Munk for the first time. I also followed the series Germaine Dulac, a Cinema of Sensations curated by American film scholar Tami Williams which aimed at revealing a largely unknown side of the vast production of French director Germaine Dulac beyond her widely lauded abstract and experimental films from the 1920s: her documentary production and her now lesser known mainstream dramas which were quite successful in the time in which they were released. 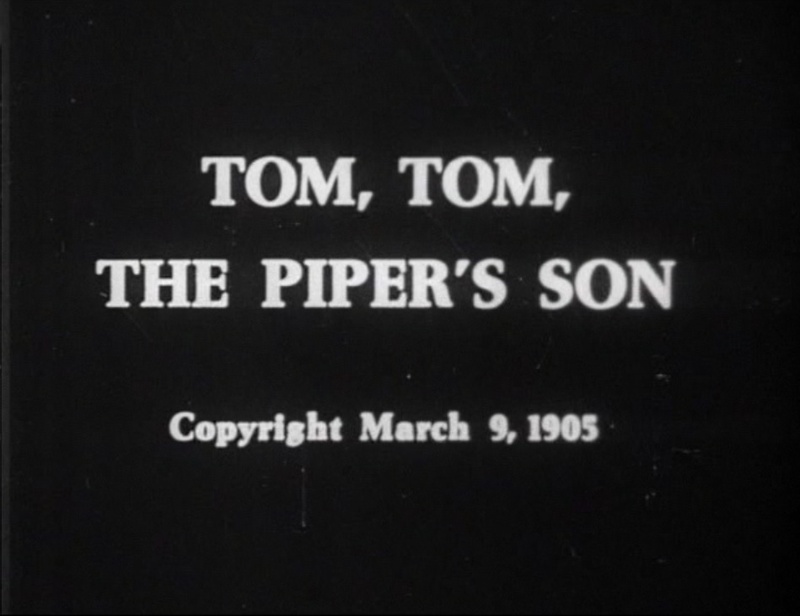 I also attended especially the second half of the series dedicated to American director William Wellman – William Wellman, Between Silent and Sound. In these programs Wajda’s Popioly (Ashes, 1965) was certainly a personal highlight at this year’s edition; a four hour visually spellbinding war epic showing the havoc of the Napoleon wars in Poland which constantly takes narrative twists and turns to follow different characters and slowly build them up. A truly stunning film. While more playful and absurd in its storyline Wojchiech Has’ The Zaragoza Manuscript (Rekopis znaleziony w Saragossie, 1965) provided a similar experience with its gothic style and constant narrative twists which in a mise-en-abyme fashion jumps from anecdote to anecdote to add a new layer to the story over three and a half hours to a point where one almost looses track of the narrative thread while remaining curious throughout. The programme was also an opportunity for me to Andrzej Munk’s classic The Passenger (Pasazerka, 1963) and Wajda’s Samson (1961) which both deal with the Holocaust in striking ways. The Germaine Dulac programme was perhaps the one I had been looking forward to the most. Curated by film scholar Tami Williams as a follow-up to the Dulac programme she had put together for Il Cinema Ritrovato in 2006, it aimed at screening the many films – dramas, documentaries and newsreels – in Dulac’s production which are virtually unknown today. I remember following the Dulac programme in 2006 where I saw La Coquille et le Clergyman (1928) in the version restored by the Nederlands Filmmuseum for the first time – a film and version which has since ranked among my absolute favourite films – so my expectations were very high. Perhaps too high, for apart from a few exceptions I generally found the part of Dulac’s production which was screened in this series somewhat a deception. At several times I just did not connect to the dramas on many levels, with storylines and cinematography which appeared surprisingly conservative, tedious and stylistically unimaginative to me, having only seen her more canonized abstract films. The gypsy drama La folie des vaillants (1925) was perhaps the only of the fiction films in the program which I found truly gripping with its high-strung story of impossible love between a beautiful young woman and a violin virtuoso ending in an unexpected act of revenge. Among the newsreels which Dulac produced it was very interesting to get a sense of her synchronous sound experiments around 1930 in films such as Celles qui s’en font and Ceux qui s’en font (both 1930) which tried to connect contemporary tunes to gramophone records being played on-screen. Yet, while I was generally not blown away by what I saw and heard at the Dulac screenings it also left me with a wish to explore her films in greater depth. The last film in the program – Dulac’s earliest surviving drama La cigarette (1919) – was unpacked so well by Tami Williams after the screening, that I felt I should have invested even more effort in preparing for this program as the films appeared much richer than what I had experienced during the screenings after hearing Williams explain the films’ symbolism, references and political implications. Williams has very recently published a monograph on Dulac Germaine Dulac: A Cinema of Sensations (University of Illinois Press, 2014) which promises to be a true page-turner, and presents itself as an ideal opportunity to familiarize myself more with this side of Dulac’s production. Outside of the programs which I followed consistently some single films and events stood out as particularly great experiences. One was the Italian diva film Fior di male (Carmine Gallone, Cines, 1915) starring Lyda Borelli. A film from EYE Film Institute Netherland’s Jean Desmet collection which is closely associated with a rediscovery of colour in early cinema, following its screening in Pordenone in 1987 (something which film historian Ivo Blom writes about in his excellent monograph Jean Desmet and the Early Dutch Film Trade (Amsterdam University Press, 2002)). Being a great fan of Italian horror cinema it was also a great event for me to finally get to see Riccardo Freda’s I Vampiri (1958) which has been on my list of films to watch for several years. A film which has currently not been restored due to a copyright issue it was screened in a magnificently scratched 35mm print from a private collection at Il Cinema Ritrovato. A choice which only contributed to the sense of a truly special event. I Vampiri was even better than I had expected it to be as a piece of gothic ‘mad-scientist-hiding-in-a-cave-and-needy-of-young-beautiful-women-for-experiments’ horror film. Set in Paris and outskirts, it inscribes itself perfectly in the fantastic strand of filmmaking of Louis Feuillade or the contemporary films of Georges Franju and Henri-Georges Clouzot. Perhaps the absolute highlight of this year’s festival for me, was the screening of Austrian filmmaker and preservationist Peter Kubelka’s swan song Monument Film (2012), which I had not yet had the chance to see but which I had been following somewhat closely until now. In 2012, during the Sonic Acts Festival in Amsterdam, I participated in a master class with Peter Kubelka which comprised a screening of his entire oeuvre, except from Dichtung und Warheit (1996/2003), where Kubelka among other things explained his ideas for Monument Film and the effect that he wished to obtain with it. Monument Film is a project which departs from Kubelka’s metric film Arnulf Rainer (1960) which is a serialist film composition of a duration of approximately six minutes made up of the most elementary cinematic building blocks: light, darkness, silence and noise. Monument Film is in the following order a subsequent, simultaneous and combined projection of Arnulf Rainer and the exact counterpart its serial composition Antiphon, which Kubelka created in 2012. First one sees Arnulf Rainer which alternates between silence and white noise and black and white images. Then one sees Antiphon which does the same but being the exact opposite of Arnulf Rainer has sound in the places where Arnulf Rainer has not and vice versa, which is also the case for the images. After the subsequent screening, the films are screened next to each other in a double screen projection. Peter Kubelka in front of the screen while the double projection of Arnulf Rainer (1960) and Antiphon (2012) is being prepared. Then finally the films are rewound and the two prints are placed on top of each other and screened as such on a single screen. Contrary to what one may first assume this creates a film which consists only of white light and which has white noise on all of the soundtrack throughout. A truly stunning effect which creates a bombardment of the senses and serves as Kubelka’s passionate and ingenious manifesto against digital cinema suggesting that the light of analogue cinema may be eternal if we know how to appreciate and work with its most basic elements. In this manner Monument Film is something truly remarkable and conceptually extremely strong as a modernist piece of film art, and one could not wish for a more appropriate setting for the screening. The execution was flawless; the prints were perfect as was the projection and I am certain that this is the closest I will ever get to see Kubelka’s vision in its purest form. It is easy to get carried away by bombastic descriptors in trying to convey what it feels like to watch Monument Film, but sitting amidst the two projectors’ outpouring of white light and noise at the end of Monument Film having gone through the formal build-up, felt like being transported back to the future of an age where the potentiality of analogue film seemed endless and cinema a means for inducing trance and ecstasy. Today, Kubelka’s vision incites us to take this potential further and reminds us why the preservation of analogue film is crucial. 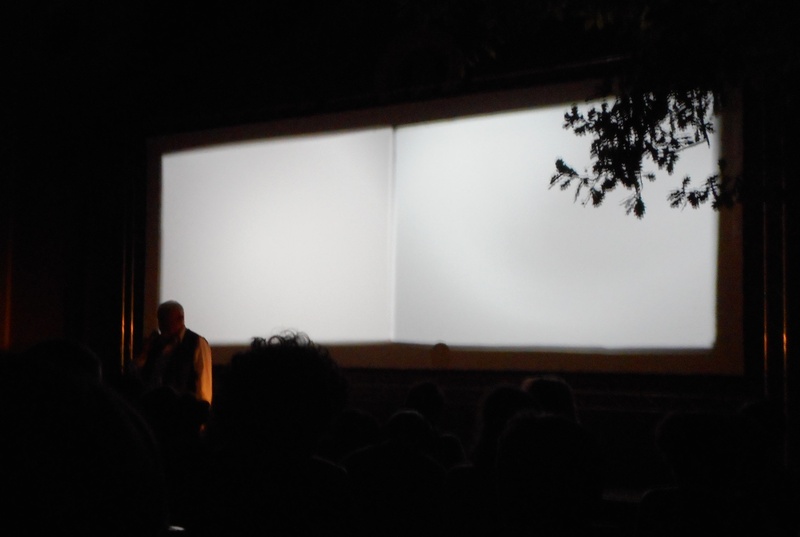 Two projectors, a screen, and one of the world’s best cinémathèques, such is the appareil de base of Peter Kubelka’s Monument Film (2012). 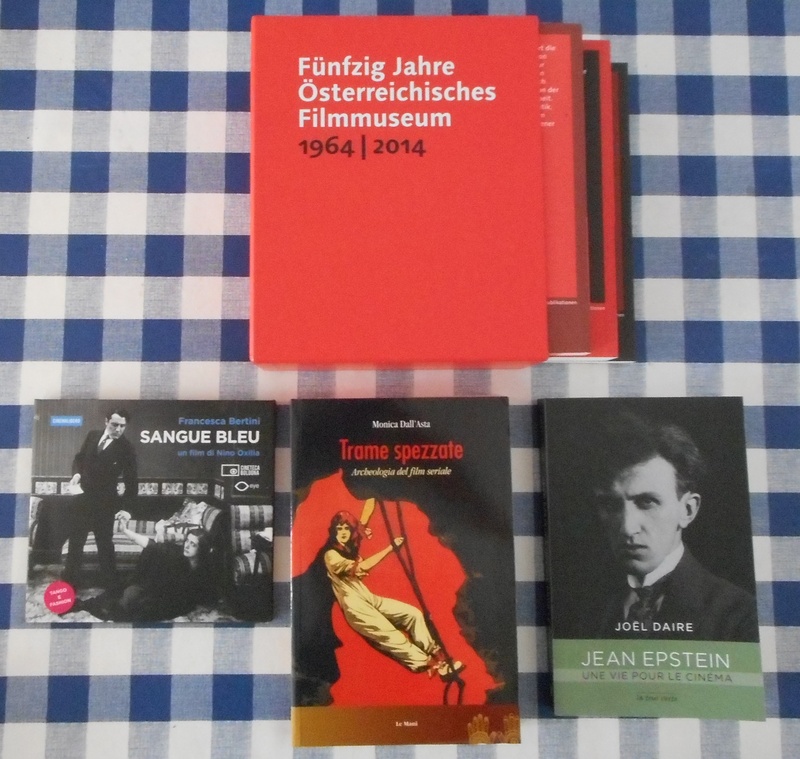 An equally monumental recent release is the three volume book set which the Austrian Filmmmuseum published this year on the occasion of their 50-year anniversary Fünfzig Jahre Österreichisches Filmmmuseum. 1964-2014. and which I managed to get hold of at Il Cinema Ritrovato’s book fair. A feast of articles and photo documentation from the institution’s history it should keep me busy on those long winter nights which are waiting around the corner. My purchases this year at Il Cinema Ritrovato’s book fair. July 8-10, I participated in the annual conference of the Alliance of Digital Humanities Organizations in Lausanne, Switzerland. Here, I presented a paper together with Jasmijn van Gorp, Assistant Professor of media studies at the University of Utrecht, which was co-written with my supervisor Professor Julia Noordegraaf and Giovanna Fossati, Professor of Film Heritage and Digital Film Culture at the University of Amsterdam and Chief Curator at EYE Film Institute Netherlands. Our paper was part of a pre-conference workshop called Sound and (moving) images in focus, which hosted a discussion on the use of digitised audiovisual collections in e-humanities research, departing from the observation that the current wave of digital scholarship mainly has affected disciplines such as history, archaeology and literature in a manner which neglects the large-scale digitisation of audiovisual collections and their potential for researchers. 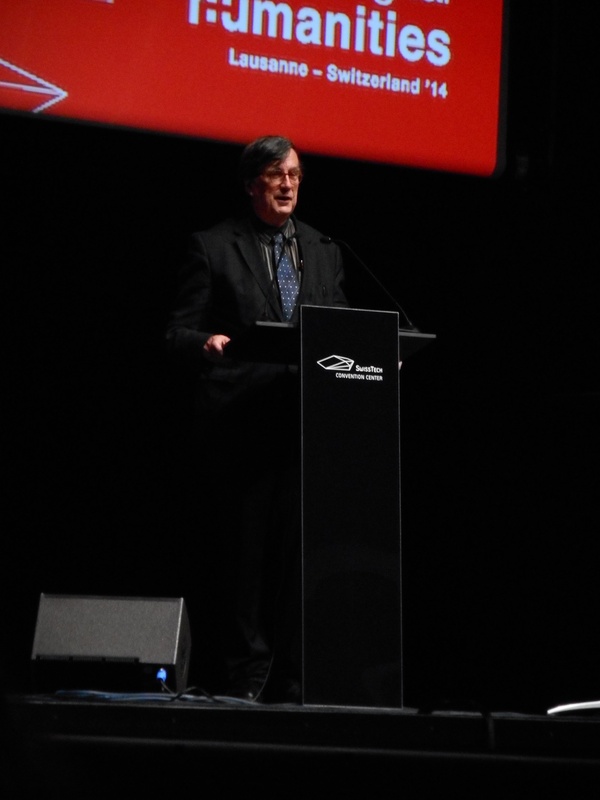 Bruno Latour giving the keynote opening lecture at DH2014 in Lausanne. In the framework of this workshop we presented the outline of an incipient research project on EYE Film Institute Netherlands’ Jean Desmet collection; a collection which, inscribed on UNESCO’s Memory of the World Register since 2011, has been vital internationally for scholars researching early silent cinema cultures and technologies. The project is titled ‘Data-Driven Film History: developing a demonstrator of EYE’s Jean Desmet collection’ and started this month – September 2014 – and I will be the Project Manager in it during the coming eight months. Hopefully it will produce a new way to look at EYE Film Institute Netherlands’ Jean Desmet collection with digital tools of analysis, currently however it is too early to tell exactly how as it is still ‘in the making’, but we plan to focus among other things on chromatic experience in silent cinema, thinking of a way to visualize how programs varied in their colour compositions in early cinema programming. The conference also offered a highly entertaining keynote opening lecture by French sociologist Bruno Latour who presented some reflections on his latest book project In Inquiry into Modes of Existence from 2013. The latest issue of NECSUS – European Journal of Media Studies, #4 with the theme ‘Waste’, has been published today. For this issue I interviewed silent film collection specialist Elif Rongen-Kaynakçi and senior curator Mark-Paul Meyer at the EYE Film Institute Netherlands on their work with the unique Bits & Pieces compilations of film fragments. I have included my introduction to the interview below, the entire interview can be read here. Frame grab from Bits & Pieces fragment no. 417. “Since the late 1980s, EYE Film Institute Netherlands (formerly the Nederlands Filmmuseum) has been collecting and preserving unidentified film fragments from its collection to create an ongoing series of compilations titled Bits & Pieces. The compilations consist of fragments which the majority of film archives would tend to disregard in favour of restoring complete films, but which EYE considers to contain a certain kind of cinematic beauty which deserves to be preserved and shown. Currently, the series counts 623 fragments, each of which has been assigned a number, and spread out on 56 reels of 300 meters. 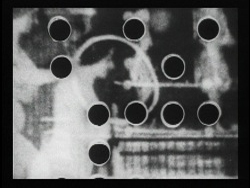 The initiative to create Bits & Pieces was taken at a time when film archives increasingly developed different institutional deontologies of preservation and when film historians went into film archives in a revisionist spirit to rediscover neglected directors, actors, exhibition practices, and technologies. The Nederlands Filmmuseum – then headed by deputy director Eric de Kuyper and assisted by staff members Peter Delpeut and Mark-Paul Meyer – gained a significant reputation at this time by propagating the view that film historians continued to neglect the fact that film archives contained a substantial amount of film fragments which could not be attributed to an author or fit into an aesthetic school. Pointing to a discrepancy between the theory of film history and film archival practice, the Filmmuseum’s staff began to plea for new forms of presenting and valorising the fragments they found, which ultimately materialised in the Bits & Pieces project.